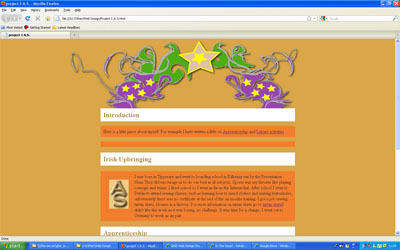 The introducation is about the webdesign course I started back last year. A real challenge as it looked complicated. Very exciting working with colours and designs but very tricky remembering to put in all the correct code like HTML,CSS,tags and much more but then to see finishing part come up online is just wonderful. I have told a little about my upbringing, what hobbies I have and interests.I took a printscreen of my design choosing the background colors and designing the cover. 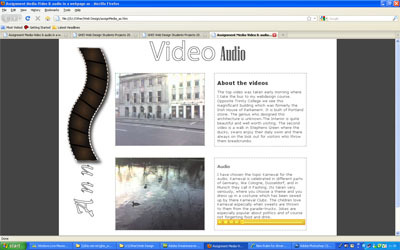 A video and audio is attached. 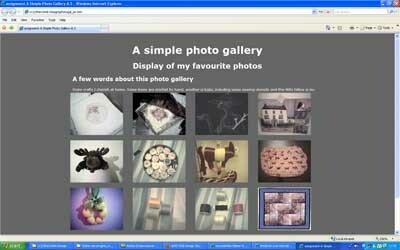 The photo gallery is showing some snapshots of trinklets at home with the camera like a painting and crochet purse.It was my first attempt preparing the thumbnails, being very carefull finding your own folder,copying and uploading to the website/webpage. The audio was a difficult task because you hear your own voice but I guess one get's over it. However the audio is telling a little about Karneval in parts of Germany. I lived and worked for many years in munich, Germany. I went to lots of Karneval party's. 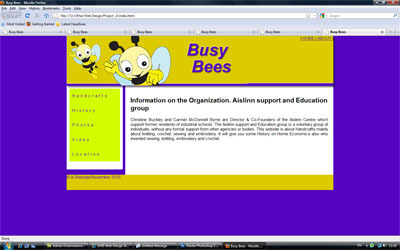 I have now completed Web Design - Project 3.